Following months of battling in its hostile takeover bid for Mylan, its rival, Teva Pharmaceutical’s move to acquire Allergan’s generic drug segment might instead be a smoother course that could bring in bigger and faster returns. 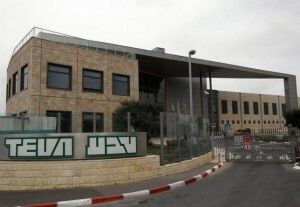 Teva, which is based in Israel, is the largest generic drug maker in the world and in advanced negotiations with Allergan to purchase its generic drugs business for $40 million to $45 million, according to someone familiar with the situation. News of this deal first broke Saturday when the $40 billion Teva bid for Mylan ran into a snag when a foundation from the Netherlands bought temporary control of 50% of the company as a way to block Teva’s takeover. Though the feud between Teva and Mylan has taken the attention of the industry since this past April, the generic business at Allergan might actually have been the first choice of Teva. Erez Vigodman, the CEO at Teva is believed to have made an approach to Allergan in 2014, which at the time was known as Actavis prior to a merger in March. An analyst said previously there was a preference for Actavis ahead of Mylan but for an unknown reason nothing materialized. Should the deal with Allergan, based in Dublin, go through, there would be two large upsides for Teva, said industry analysts. First of all, there is far less overlap between the two than with that of Mylan. Teva would also benefit over the short term from removing any uncertainty over the outcome of a deal with Mylan that has weighed upon its stock. Since reaching a high in New York April 9 just prior to speculation of a possible bid for Mylan, Teva shares are lower by 10%. Allergan’s generic operations have sales of close to $7 billion, said one industry analyst.